Jump to this helpful list of materials, ranging from guides and checklists to tools that help you think about your future. Academic Excellence: We offer nearly 300 academic programs and pathways. Many of our programs are on the cutting edge of technology and innovation giving you a competitive advantage in the workforce. Classes are taught by a qualified, experienced faculty, dedicated to student success. Save Money: At under $4,000 per year, MDC’s tuition and fees are nearly 10 times less than those of private universities and almost half as much as state universities. Debt-Free: You’re just starting out. Why burden yourself with a lifetime of debt? 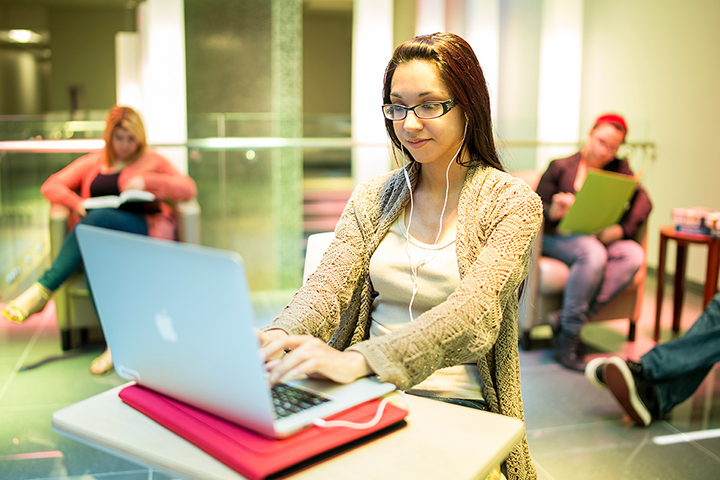 At MDC, tuition is typically so low that fewer than one in 10 students incurs a debt. With the help of grants, scholarships and other forms of financial aid, many students actually attend for free. Truly want to excel? Challenge yourself and apply to the MDC Honors College where students get all their tuition costs covered plus amazing extras like travel, mentors, and exposure to important national figures in many sectors. Flexible Scheduling: MDC classes are designed with convenience in mind for people at every stage of life and career. Classes are offered from early in the morning until late in the evening and on weekends. Not enough options? You can also take classes online. When it comes to convenience, we try to make your commute as painless as possible with eight campuses located all over Miami-Dade County. Close to Home: College is not like high school. It’s an academic transition into adulthood that takes determination and stamina. For some students, staying close to home is a way to ease the entry into college life. Don’t let geography keep you from attending college. State-of-the-Art Facilities: Many MDC programs are taught in facilities equipped with the latest technologies delivering a high-quality college experience that goes beyond the books. These include a Science Complex that features 21 state-of-the-art labs, roof-top astronomy observation deck and botanical gardens; radio and television broadcasting facilities; a highly regarded Police Academy, and a 2,400 square-foot Burn Building for our Fire Sciences students. In addition, the Carrie P. Meek Entrepreneurial Education Center on our North Campus and The Idea Center on our Wolfson Campus are hubs of innovation and places where students from all disciplines can gather, collaborate and take advantage of resources and training to develop their entrepreneurial ideas. Smooth Transfers: An Associate in Arts degree from MDC guarantees a smooth transfer of credits and your entry into a state university in Florida. While admission to the college or university of your choice is not guaranteed, the Florida Statewide Articulation Agreement does guarantee upper division admission to a state college or university in Florida when you earn an A.A. degree. You can browse the Florida Articulation Agreement brochure for more information about transfer policies. We also have articulation agreements with out-of-state universities. MDC graduates are regularly accepted to many top universities in Florida and across the nation.